LONDON: Prince William’s wife Kate is expecting their third child, Kensington Palace announced on Monday, adding that she would not be attending a planned engagement due to morning sickness. William, 35, is second in line to the throne and the new baby will be fifth in line, bumping William’s younger brother Harry down the order of succession. The news comes at the start of the week that the royal couple’s eldest child, four-year-old Prince George, begins school in London. They also have a daughter, two-year-old Princess Charlotte. “Their royal highnesses the Duke and Duchess of Cambridge are very pleased to announce that the Duchess of Cambridge is expecting their third child,” the palace said in a statement. There was no immediate indication when the baby was due or whether it is a boy or a girl. Queen Elizabeth II, William’s grandmother, was said to be “delighted” at the news, as were members of both families. 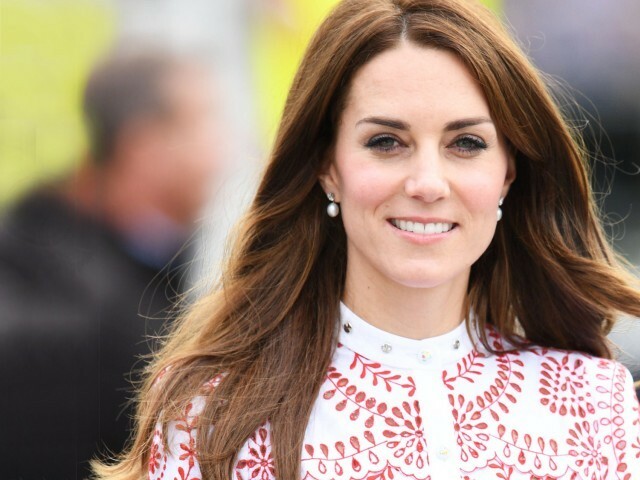 The palace confirmed that “as with her previous two pregnancies, the duchess is suffering from Hyperemesis Gravidarum”, an acute form of morning sickness. Kate, 35, was hospitalised with the condition during her first pregnancy in 2012, while it also forced her to cancel a trip to Malta when she was pregnant with Charlotte in 2014. “Her royal highness will no longer carry out her planned engagement at the Hornsey Road Children’s Centre in London today,” the palace said. Prince George, the third in line to the throne, is due to begin school at the private Thomas’s Battersea school in south London on Thursday. There has long been speculation that William and Kate would like a third child. On a royal tour of Poland in July, the duchess — who herself is one of three children — joked about having another after being given a cuddly toy designed to soothe tiny babies.